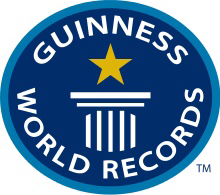 Breaking an actual Guinness World Record has always been an ambition of mine. Let’s face it, I was never going to attempt scaling Everest in the fastest time or running the 100m faster than Usain Bolt…but when I was a kid I used to receive the Guinness World Records book as a present every Christmas. I would spend hours and hours scouring the records. I would read about Robert Wadlow, the tallest man that ever lived. I would cringe at seeing the pictures of the people with the world’s longest fingernails. It all amazed me. But it wasn’t those awesome physical feats that intrigued me. It was the section usually called “Human Achievments” or something like that. These were the fun records. People who had records for stacking cards and kicking footballs through hoops etc…stuff I always saw as “I reckon I could have a crack at that”. So that brings us to Last Week. We had a family holiday to the Lakeland Haven up in the Lakes. When looking through the entertainment packages that were on for the week I spotted something…Guinness World Records Live…what was this? 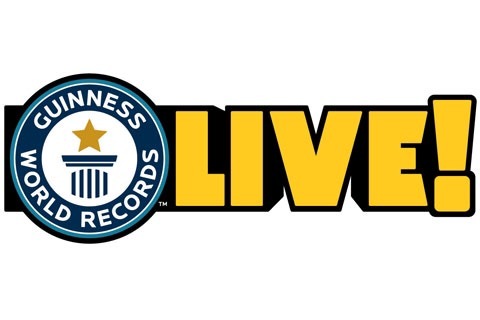 After attending the welcome meeting we found out that Haven have a deal with Guinness World Records this year to actually attempt records live! And the best thing was that it was open to people of all ages!!! This was my time! On Wednesday we went to the “Qualifier”. There was only three of us who turned up. We were presented with three possible things we could attempt. During the qualifier, nothing was official but we could see who could get closest to come back in the evening and attempt it live. The next record was the “Fastest Time To Separate Six Different Coloured Balls Into Buckets By Colour”. I knew I could have a crack at that one…we found out the record was just over 18 seconds. My first attempt came in at around 19 seconds…could it be possible? I had a few more attempts and one of them I did in 14 and half seconds……..just a shame it wasn’t an official attempt. But I had qualified to do it Live that night. The third record was “The Fastest Time To Throw 5 Inflatable Rings Over Another Person”. Whilst one of the other lads was practicing the ball bucket one, another young lad called Taylon and I said we’d have a crack at it. And we were good! The World Record was 8.09 seconds. In rehearsals we did it in about 6.5…we were going to do it Live on the night. So the evening arrived and it was time to attempt the records. I went first with the Bucket of Balls attempt…it just didn’t quite go right though and I was half a second off getting an official World Record. Gareth had a stab at the passing through rings attempt but didn’t quite get it unfortunately. 5.90 seconds and officially verified as a NEW Guinness World Record! Taylon and I had smashed it and the certificate is in the post. This entry was posted in 2016, Holidays and tagged guinness world records, Haven, haven lakeland, inflatable rings thrown over another person, lakeland haven, record breaker, world record, world records. Bookmark the permalink.